Introducing solid foods to your baby is a big milestone. This page offers you the solid food charts in one handy location. 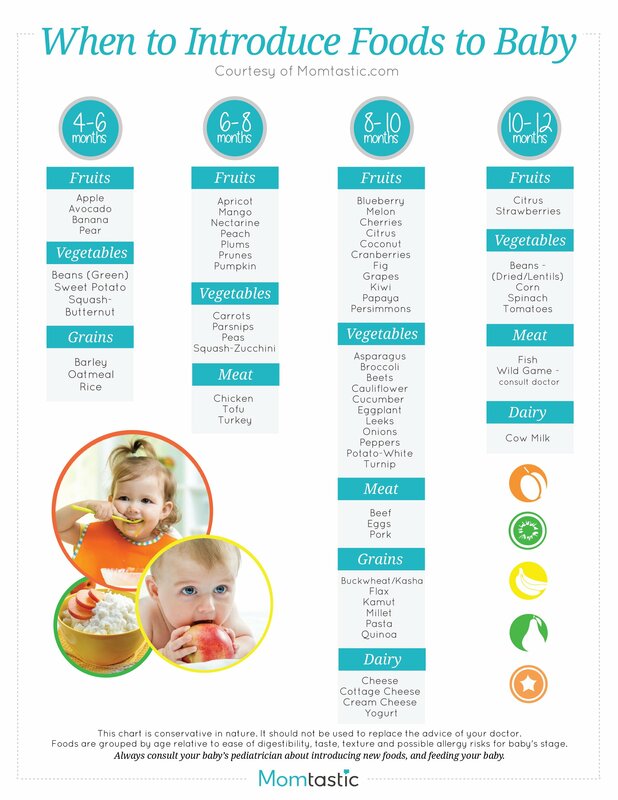 As with the solid food charts found on individual pages, this combined baby solid food chart is a general guideline showing solid foods for baby that are age appropriate. These solid food charts/guidelines are somewhat conservative in nature compared to guidelines from other sources. You should always consult your baby’s pediatrician before introducing new foods to your baby. Avoid any suggested foods that may pose an allergy risk for your baby.